Keeping Collinsville flowing for more than a quarter century! Collinsville, Illinois is most famously known for being home to the world’s largest Ketchup bottle and for being the “Horseradish Capital of the World.” In other words, Collinsville loves food! Producing 85% of the world’s horseradish is no small feat, we know there is no time for a plumbing crisis, so Culler Plumbing is standing by 24 hours a day, seven days a week. We understand that the kitchen is the epicenter of Collinsville’s soul, which is why our plumbing services include drain cleaning, garbage disposal installation and repair, faucet installation and repair, and emergency plumbing for when things don’t go as planned. 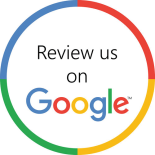 With so much history and a thick culture to experience, Collinsville plumbing should be discrete, efficient, and honest, to get you back to your day quickly. 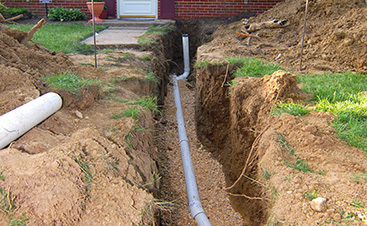 We can unclog toilets, sewer lines , and septic systems. Get your plumbing flowing again when you call the expert plumbers at Culler Plumbing Services. Answers to common plumbing questions from your Collinsville plumber. In addition to being a local plumbing company, at Culler Plumbing Services, we care about the health of all of Metro East Illinois’ plumbing health. To help you keep your plumbing system in peak condition, our Collinsville plumber has some answers to common plumbing questions. For more information or help with your residential or commercial plumbing problems in Collinsville and the surrounding areas, contact our experienced plumbers for a free estimate. Why do my drains/toilet keep getting clogged? Anything other than toilet paper. All of these things will cause nasty buildup that is hard to break through on your own. Sometimes, the angle of your pipes can contribute to buildup and clogs as well. Additionally, if you have a septic system, you’ll need to clean it regularly to prevent backups and toilet troubles. In any event, if you find that your drains or toilets become clogged more than rarely, you may want to call your local plumber. At Culler Plumbing Services, we can inspect your pipes internally and perform professional drain cleaning and water jetting to get rid of your problem and prevent damage. Why do I hear a banging noise when I flush the toilet or turn the faucet off? The likely culprit is that your pipes are not secured tightly. Or, the pressure in your pipes could be way too high. Either way, this should not be ignored, it is your plumbing system’s call for help and a warning sign of impending burst pipes. Contact your local plumber for a full diagnosis and get it fixed before major damage occurs. Is an annual plumbing inspection really necessary? Yes. If you have newer plumbing and want to go every other year, that would be fine too. However, the importance of getting a local plumber out to inspect your plumbing system should not be underestimated. 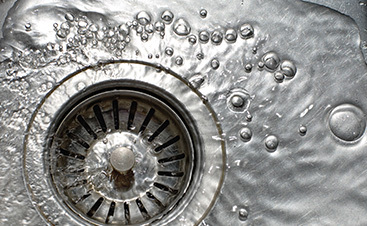 What annual checkups can your plumber perform? And, inspect, clean, and repair other plumbing and natural gas related appliances. If it has been more than two years since your residential or commercial plumbing checkup, contact your local plumber to schedule your appointment! It is just dripping, do I really need to get it fixed? Yes. Even a simple drip, drip, drip can cause serious damage and a severe waste of water. Dripping leaks may cause water pooling in places it shouldn’t and indicate that there is a problem with your plumbing that should be repaired. Additionally, a single dripping faucet causes a waste of more than 3,000 gallons of water every year, that is enough water to fill almost eight hot tubs! If you have asked any of these plumbing questions recently, it is a good time to contact your local, trusted plumbing company for a complimentary estimate for repairs! 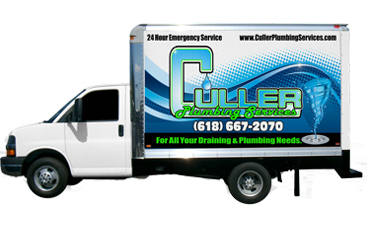 At Culler Plumbing, we have more than 25 years of experience working on the residential and commercial plumbing systems of Collinsville and the surrounding Metro East Illinois area. 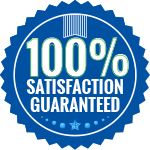 Contact us to get the plumbing services you need at an affordable rate.